Giveaway closes at 23:59GMT on 19th December. Comments made after this time will not be entered. I really enjoy reading your blog, keep up the good work in 2010! I’d like to be entered into this draw! I love Urban Decay Ink for Eyes Enter me, please! Please enter me! Thank you so much! urban decay again?! WhheeeE~~~~ me me me! i am feeling lucky . I just won cosmetic candy nicky clarke ceramic hair straightner giveaway. enter me please . ZOMG!! I lurve it!! ((now I should probably use my manners, huh??) May I please be entered?? oh wow this is amazing! would love to enter this, thank you!!!!!!!!!!! Urban Decay is the uber awesome! This would really make my brown eyes pop! enter me please! merry christmas! Oooh brill! 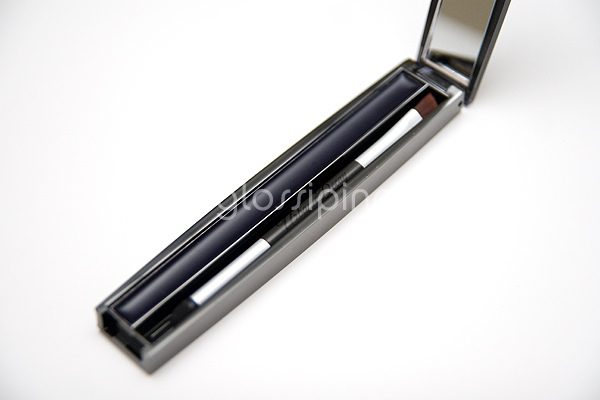 I have wanted one of these 4 ages, i bought myself a Stila Smudge Pot in Cobalt…but have no brush to use it with!!!! Oh this is such a nicer colour than the green! Navy, mmhmm! This is one of those gifts that you are REALLY tempted to just keep for yourself, don’t you think? 😛 Haha, enter me, please. Yay, this looks fabulous. Would like to be entered please! I’d love to enter this one! I recently bought the Urban Decay Eyeshadow Potion Primer. It is the best! So I’d love to try other UD products. So pleasseeeee enter me!!!!!!!!! Ooh I’d love to try this! Enter me? Please? What if I said I love you very very much? Oh please enter me. I’ll admit I am a new reader (I found you recently while looking for ELF and NYX reviews) but I plan on sticking around. I’ve just started getting into makeup in the last year roughly but am a college student on a budget (thus the ELF…) Some friends have Urban decay eyeshawdows and they’re AMAZING! I would love to try some Urban Decay products! I’ve never tried one of these before. So yes, enter me please! Thanks!